Are you as baffled by the entail in Downton Abbey as its fictional characters the Crawley family? Any Jane Austen fan worth their weight in syllabub will have the answer for you. It also helps if they are a practicing attorney. Please welcome Janeite, lawyer and Downton Abbey fan James F. Nagle today. He has kindly agreed to explain all the property law issues that fuel the plot in this new hit series currently airing on Masterpiece Classic PBS. Downton Abbey has millions of viewers entranced, and Jane Austen aficionados glad they previously researched English primogeniture law. Laurel Ann asked me to write a short blog on the legal subtleties of Downton Abbey. It is vital to understand the importance that ownership of an estate had, both in 1912 and in the Regency-era. More than just a home, it made a family part of the aristocracy or gentry. Historically, the land produced a steady income that freed the family from having to earn its living by daily effort. They could dabble in the arts, become involved in politics, or lead a life of idleness. This gave land a cachet that went beyond cash or movable goods. It was not only the major source of wealth in an agricultural community; it was the ultimate status symbol, not just for one person for one generation, but on the family so long as it lasted. Owning land was essentially a sacred trust for land owners. They held the land in trust for their future generations and thus had a duty to preserve what had been passed on to them. Today when we think of family, we think of spouses, children, parents, grandchildren. But in Jane Austen’s time and in 1912, “family” was a much broader abstract concept with individuals as interchangeable commodities. How else can you explain making sure that property goes only to a male heir, including probably someone that you’ve never met? The present owner or occupant was merely a temporary custodian for the next family member. The Earl and Countess of Grantham married Cora Levinson for convenience. Her dowry fueled the struggling estate and his title made her an aristocrat by marriage and her children by birth. That love of the estate and duty to the generic family is a main plot driver. The Earl had married a rich American, Cora, to secure her fortune to run the estate. This was by no means unusual. Many members of the aristocracy had become “land poor” by the early days of the 20th Century. These gorgeous estates, which required a battalion of servants, had been self-sustaining for centuries. Now they needed an influx of cash to be kept up. Hence, the drive to marry for money intensified. That brings us to a discussion of women’s rights which, especially regarding property, were severely limited. Two dangers threatened a landed estate: 1) Division. 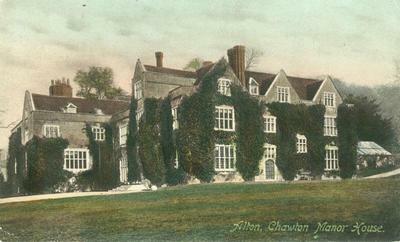 If an estate were divided equally between all sons or children over several generations, then an estate, originally sufficient to make its holder a member of the gentry, became a multitude of increasingly smaller farms that, individually, didn’t qualify descendents for the same social status; and 2) Dissipation. If the head of the family (a wastrel or a foolish speculator) were to sell, voluntarily or forced by creditors, his land to raise funds, and then fritter away the sales proceeds, the whole family sinks into obscurity, obviously not only an embarrassment but a breach of faith to one’s ancestors and descendants. Primogeniture was devised to eliminate division. Entailments were devised to combat dissipation. With that background, it is perfectly logical and reasonable for a landowner to give the estate to one child. Moreover, it then becomes perfectly logical to give it to the oldest child. That way, the future squire of the manor can be designated at birth. Finally, considering what was said earlier about women’s rights, it makes little sense to give it to a daughter. If the Earl gave it to a daughter and she marries someone, a Mr. Wickham, for example, he does not merely have access to the estate, it becomes his estate; it is subsumed within him. So for these reasons, the practice of primogeniture began which keeps the estate intact and under the control of the head of the family in each generation. While primogeniture was the preferred inheritance method, it was not the absolute law. The best example in Jane’s writings of a departure from primogeniture was Mrs. Ferrars in Sense and Sensibility. Unhappy with her son Edward Ferrars’ choices, she simply wrote him out of the will and gave it to his younger brother, Robert. The Earl of Grantham has no sons but three daughters—Mary, Edith, and Sybil (shades of P&P!!). Miss O’Brien, Cora’s maid says that women cannot inherit. That is not correct. They cannot inherit the title but if the Earl owned Downton Abbey outright (in fee simple absolute) he could leave it to his wife or his three daughters and ignore the rule on primogeniture. Unfortunately, the Earl does not own the estate outright. It is entailed. An entail was a legal device to ensure that property would be handed down in a way that suited the ancestor, normally to a male heir, thus keeping the family estate intact. In the entail system, the property owner, The Earl’s father, does not pass it in fee simple to the son. The Earl has a life estate, meaning he has the full use of the property during his life and, at the end of his life, it will pass to his son or to someone else in the family- often the closest male heir. The Earl had a good relationship with the heir, his first cousin James Crawley, and there was even an engagement between the Earl’s oldest daughter Mary and the heirs son Patrick. However, the heir and his son have both perished on the Titanic. So the new heir, Matthew Crawley, is a lawyer with no previous relationship to the Earl. At the Earl’s death, the new heir gets the estate, including Cora’s money!!!! That is the main plot driver in the story – how to break the entail. When I read that the characters were trying to get out of the entail, I assumed they were talking about “cutting off” the entail, which was common in Austen’s time and is mentioned in P&P as Mrs. Bennet’s plan when she first married Mr. Bennet. The way to cutoff an entail would be for an agreement of a current tenant and the next male heir, who would then hope to do the same with his heirs. Violet, the Dowager Countess of Grantham wants to “smash” the entail and joins forces with her daughter-in-law to advocate her son to pursue legal methods. However, having seen the first episode, that is not what is going on. 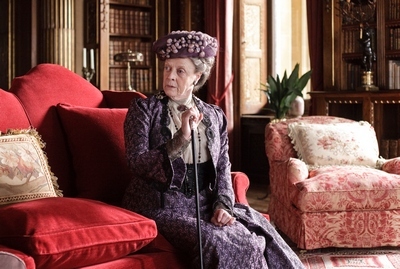 As Maggie Smith’s character, The Dowager Duchess of Grantham, states, they want the entail to “be smashed” – not a precise legal term. The Dowager and Cora want to separate Cora’s money from the building and lands of Downton Abbey, so that Cora and her daughters will retain the money, or what is left of it, that she brought into the marriage. Therein lies the difficulty. As stated above, typically a woman’s property was subsumed within that of her husband’s at the point of the marriage. It could, however, be fenced off by means of a trust or other legal document. That “loophole” is what the Dowager and Cora are trying to find. However, the family lawyer, Murray, has no hope. He opines to the Earl that the Earl’s father had “tied the knots pretty tight” when the Earl and Cora were married. I take that to mean that he had drafted an agreement by which Cora’s money was unquestionably and irrevocably transferred to the husband and therefore to the estate with no hope of successfully challenging it. I presume that the document is not so patently one-sided that a judge would throw it out as unconscionable. It probably had enough legal language to indicate that Cora was receiving something valuable in return and that portions were being settled on any future daughters (the Earl mentions this in his conversations with the Duke of Crowborough). So any reviewing judge might well conclude that while the agreement might have unfortunate consequences now, it was not unconscionably one-sided at the time of drafting and signing. Indeed, it is that legal conclusion that forced the Earl not to even attempt a challenge. First, it would be a waste of time and money. Second, even if he were successful, the title, land and buildings would go to Matthew, the new heir, but the money needed to maintain the property would be kept by Cora. 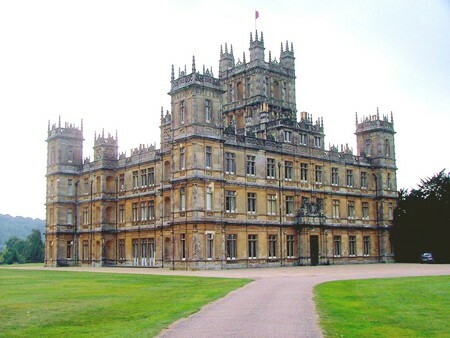 As a result, Downton Abbey would fall into disrepair and therefore disrepute and the new heir might be forced to sell it off in total or in part. This, the Earl concludes, is a breach of that sacred trust to the family and to the surrounding community, which is obviously so dear to him. James F. Nagle is a lawyer in Seattle. He is the membership chair of the Puget Sound Chapter and the National Secretary of JASNA.